Graydon Francis Kinnaird died on October 30, 2009 at Whispering Pine Care Home in Canwood, SK. He joins his wife, Georgina in peace and love. Graydon was born on April 19, 1922 to Bob and Alida Kinnaird. He is survived by his children; Anne (Andrew) Gaboury, Francis (Brenda) Kinnaird, Mary (Ken) Yaremchuk; his brother Mike (Annette) Kinnaird; and several grandchildren, great grandchildren, nieces and nephews. 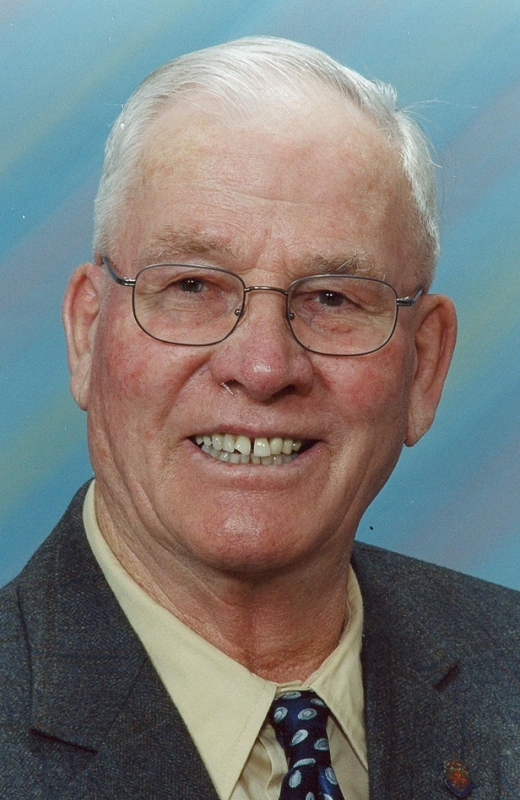 Graydon farmed west of Shellbrook for most of his life. He served in the Armed Forces during World War II. Graydon was also a member of the local school board and Shellbrook Legion. He will be remembered for his straight-forward, honest personality and joys of family and friends. The Service of Remembrance for Graydon took place at Knox United Church in Shellbrook, SK, at 2:00 p.m. on Monday, Nov. 2, 2009. Pastor Dave Whalley was officiant, there was a Legion Honor Guard, Mary Yaremchuk and Anne Gaboury were the Eulogists, and Francis Kinnaird was the Urn Bearer. The Shellbrook Community Choir led the hymns, and interment took place in the Shellbrook Cemetery. Memorial Donations may be made to the Shellbrook & Districts Health Services Project or to the choice of the donor. Emailed condolences sent to www.beaulacfuneralhome.com will be forwarded to the family. Beauâ€lacâ€ Funeral Home was entrusted with the arrangements 747-2828.